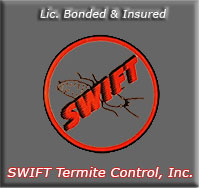 Preventive Maintenance – Swift Termite Control Inc.
Now that you have had your home fumigated, you should start implementing some of your own preventive measures to attempt to prevent anymore or extensive damage by termites. Remember, your goal is to minimize infestation as much as possible. This will require help from you along with SWIFT Termite Control. The homeowner’s role in controlling wood destroying organisms can be extensive. As a homeowner you should be aware of any excessive amount of wood, (i.e. cords, trimmed trees and branches, scraps), this creates a fertile environment for termites. 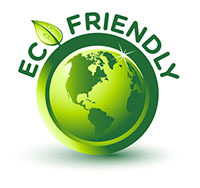 Also, if you have had your home renovated, it is likely that you have cellulose debris under the house. Along with termites, there are other wood destroying organisms. You will want to ensure there are no hidden plumbing leaks anywhere. Excessive moisture causes fungus, which is a wood destroying organism. Proper ventilation around the property will assist with preventing excessive moisture. So along with the fumigation, you may want to have a plumber come out and check for leaks in areas noted by the Termite Inspector. This information will be provided in your Termite Report. Not only is this a problem to the wood, but can promote an excessive water bill as well.